You can’t teach a skill that you don’t practice, yet many agricultural scientists try to do just that, lecturing at universities or writing extension messages without spending time a farm. So I was pleased this week to meet a scientist who was getting on-farm experience, and loving it. My wife Ana and I met Dr. Alberto Centellas on the small farm, about a hectare, which he works with a business partner in the Cochabamba Valley, here in Bolivia. We heard that he sold fruit tree seedlings, and we went to buy some. I had barely closed the farm gate when Dr. Centellas walked up to me, wearing a grin and a straw hat. Without waiting for introductions, Dr. Centellas (“call me Alberto”) began to show us his projects, passionately explaining each one. Dr. Centellas is Bolivian, but he earned his Ph.D. in Brazil, in temperate fruit production. 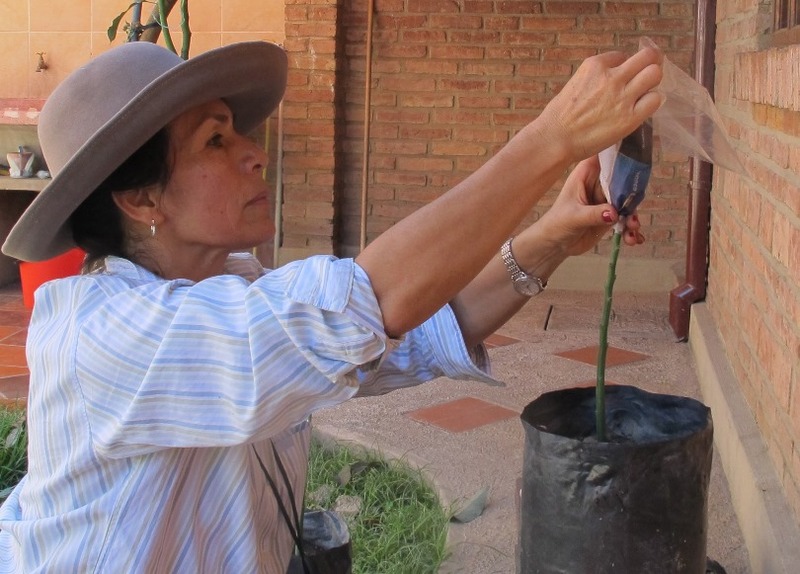 Then he worked for Embrapa, the Brazilian agricultural research agency, for eight years, followed by another stint at Proinpa, an agricultural research organization in Bolivia. Now he teaches fruticulture at the university in Cochabamba. Teaching and administration don’t always leave much time to spend in the greenhouse, so to hone his agricultural skills, Alberto works on the farm every Saturday. Besides lemon and apple trees, he also has a collection of pears, avocados, peaches and cherimoyas. Like a lot of researchers, Dr. Centellas is regularly invited to conferences in other countries. But he uses his trips as more than talking shops. He also collects tree varieties. “But only from research centers,” he hastens to add. He gets new tree varieties from reliable sources where the trees are certified and guaranteed to be healthy. 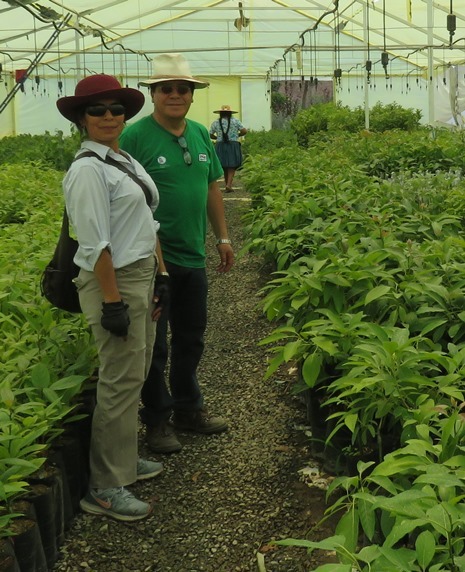 The farm is also a serious business, called Tecnoplant, and it is state of the art. 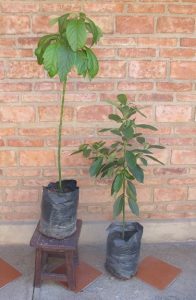 Avocado tree seedlings are expertly grafted and growing in the protected cover of a tidy greenhouse. 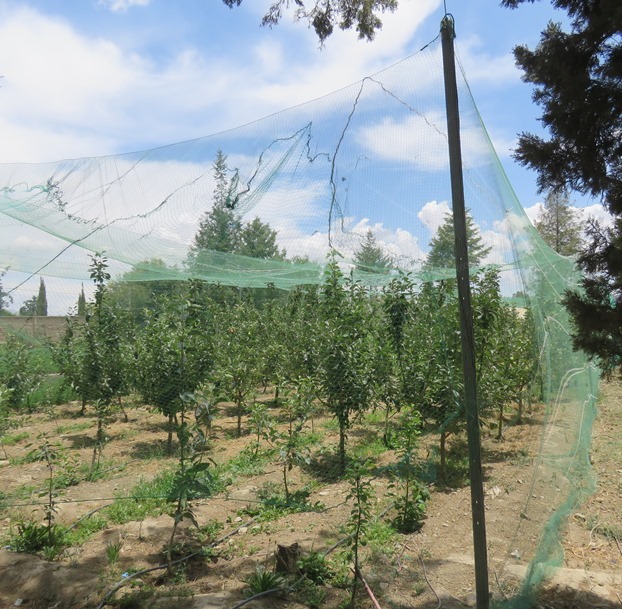 Other trees have been planted in a small orchard. Avocados are tricky. Unlike many trees, each variety belongs to one of several pollination groups, including A, B and AB. They yield more if the varieties are grown in mixed groves. Dr. Centellas has carefully set out one row of the variety Fuerte, and one of the variety Lamb Hass. The little trees are watered with drip irrigation and growing under plastic mulch, to keep out the weeds. This is cutting edge tree culture. It is more honest to teach techniques that one actually practices. Farming helps Dr. Centellas to understand the real problems that farmers face, making him a better teacher. No se puede enseñar una habilidad que uno no practica, aunque muchos científicos agrícolas tratan de hacer eso, dando clases en las universidades o escribiendo mensajes de extensión sin pisar tierra agrícola. Entonces me dio gusto esta semana conocer a un científico que sí ganaba experiencia agrícola, y le encantaba. 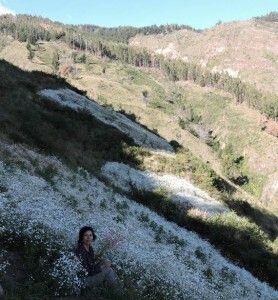 Con mi esposa Ana, conocimos al Dr. Alberto Centellas en la pequeña finca, tal vez una hectárea, que él trabaja con un socio en el Valle de Cochabamba, aquí en Bolivia. 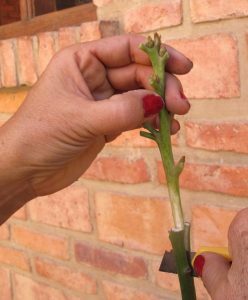 Habíamos escuchado que él vendía plantines de frutales, y fuimos a comprar. Yo apenas había cerrado el portón cuando el Dr. Centellas se me acercó, con una sonrisa y su sombrero de paja. Sin esperar que nos presentáramos, el Dr. Centellas (“llámeme Alberto”) empezó a mostrarnos sus proyectos, explicando cada uno con pasión. El Dr. Centellas es boliviano, pero ganó su doctorado en el Brasil, en la fruticultura de climas templados. Luego trabajó para Embrapa, la agencia de investigación agrícola brasileña, por ocho años, seguido por un tiempo en Proinpa, una organización de investigación agrícola en Bolivia. Ahora enseña fruticultura en la universidad en Cochabamba. La docencia y la administración no siempre dejan mucho tiempo para estar en el invernadero, así que, para pulir sus habilidades agrícolas, Alberto trabaja en la finca todos los sábados. Además de limoneros y manzanos, él también tiene una colección de peros, paltos, durazneros y chirimoyas. Como muchos investigadores, el Dr. Centellas es invitado frecuentemente a conferencias en otros países. Sin embargo, se aprovecha de sus viajes para hacer más que intercambiar información. También recolecta variedades de árboles. “Pero solo de los centros de investigación,” aclara. Recibe nuevas variedades de frutales de fuentes confiables, donde los arbolitos son certificados y garantizados de estar sanos. La finca también es una empresa formal, llamada Tecnoplant, y es tecnología actualizada. Los plantines de palto están expertamente injertados y creciendo bajo la protección de un invernadero ordenado. Otros árboles se han plantado en un pequeño huerto. El palto tiene sus mañas. 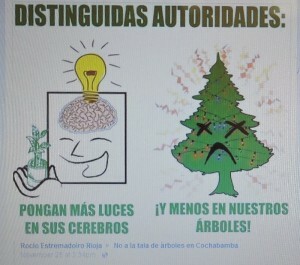 A cambio de muchos otros árboles, cada variedad pertenece a uno de varios grupos de polinización, como el A, B y el AB. Rinden más si las variedades se cultivan en huertos mezclados. El Dr. Centellas ha cuidadosamente plantado un surco de la variedad Fuerte, y una de la variedad Lamb Hass. Los arbolitos se riegan por goteo y crecen bajo un mulch de plástico, para que no crezcan las malezas. Es lo último en la fruticultura. Es más honesto enseñar las técnicas que uno realmente practica. El trabajar con sus árboles ayuda al Dr. Centellas a entender los problemas reales que enfrentan a los agricultores, y por eso es un mejor profesor. A lot of time and effort goes into development projects, from writing proposals and getting funds through to building partnerships, doing the work and finally evaluating it to show that you’ve made a difference. 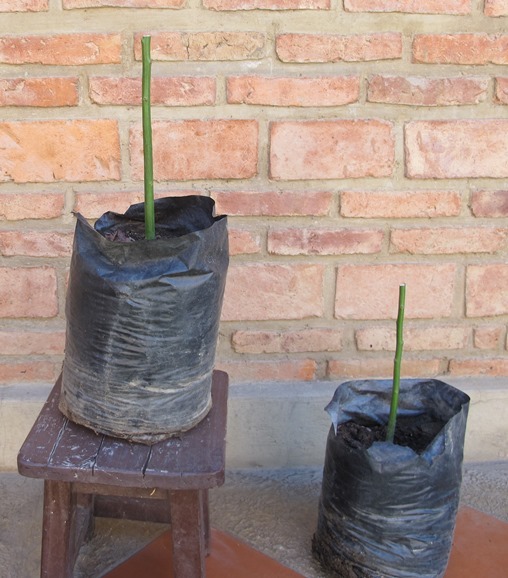 Sometimes a simpler, direct approach is more effective, as my experiences with bamboo in Ethiopia have suggested. 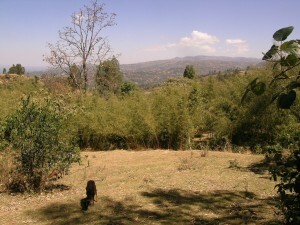 I first learnt about the vast swathes of bamboo in Ethiopia twenty years ago. I was engaged in a pilot project to assess a largely untapped resource comprising huge natural stands and a patchwork of smaller plots dotted around peoples’ homes. Existing uses of bamboo included conversion into charcoal, building fences and making small household items, such as baskets. The resource assessment was the first step in suggesting profitable enterprises on a much larger scale. 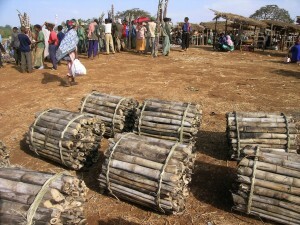 Each year the million hectares of Ethiopian bamboo produce new culms, as the woody, fast-maturing stems are known. There has been no shortage of ideas on what to do with this rapidly regenerating biomass. The most ambitious suggestion has been to burn bamboo and generate electricity. More modest proposals, though still requiring major investment, have included fashioning the bamboo into high quality flooring and decking for export to the North. When I returned to Ethiopia ten years ago for a new bamboo project, I found little evidence of new enterprises or large scale industrial uses. The most striking discovery, though one that at first seemed commonplace, was the continuing operation of a workshop where people were trained to make handicrafts from bamboo. Some of the oldest ideas had been the most enduring. During the second visit I went to talk with a small group of shopkeepers who sold bamboo furniture to the better-off denizens of Addis Ababa. These were, as far as I could see, the same shops that had been present when I made my first visit in 1997. The shops were well-stocked with chairs, beds, tables and all the other furniture that middle class families were keen to have in their homes. The furniture sellers and the handicraft makers were all beneficiaries of a much earlier initiative, some time back in the 1980s, when Ethiopia was run by the Derg, a revolutionary committee drawn from the army and police. The Derg admired the socialist ideals of China and one of the outcomes was a visit by Chinese technicians, who introduced Ethiopian artisans to new designs for bamboo arts and crafts. The Chinese supported the establishment of a workshop in a government-supported, small enterprises institute, where people were still being trained thirty or so years later. 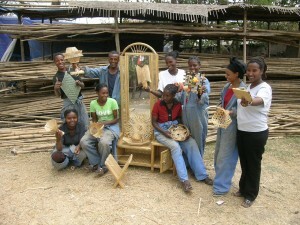 In 1997, the bamboo furniture makers and the craftsmen seemed unremarkable to me because at the time I thought that chairs and baskets would never generate huge amounts of income. But as roads improve, cities expand, and the Ethiopian middle class comes of age, there is now solid demand for sensible furniture. Bamboo industries benefit farm communities with small plots, who send regular truck loads to the bustling workshops of Addis Ababa. 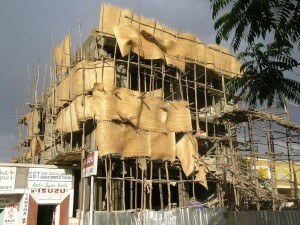 What of the other more ambitious schemes for bamboo? A quick search of the web for current bamboo activity in Ethiopia shows USAID giving a grant of $1.75 million in 2014 to ‘develop processes to make industrial and quality bamboo’. This grant will have a detailed proposal, plan of action and agreed outcomes, all requiring regular monitoring, reporting and so on. In other words, a hefty administrative overhead will eat into the available finds. But this recent public/private enterprise may also mean that bamboo enterprises are finally going to succeed on a big scale – though there’s no guarantee that this will happen. Meanwhile the impact of a small gesture by China forty or more years ago to show solidarity with Ethiopia continues to reap benefits, an unexpected outcome of the otherwise tragic and violent period of Derg rule. Sometimes the most effective interventions are also the simplest. Social media can be used to help manage a natural resource, as we saw recently in Bolivia. 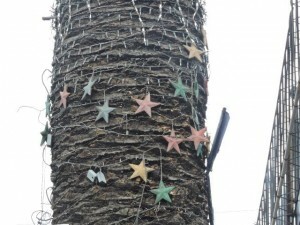 Every year, in Cochabamba, the municipal government puts up Christmas decorations, including strings of lights wrapped around trees. But no one bothers to take the lights down. A few still flicker from time to time, almost a year after being hammered onto the tree. The iron in the nails is toxic for the trees, and the nail holes are wounds that allow disease to enter. The workers climbing up and down the trees also damage some of them. 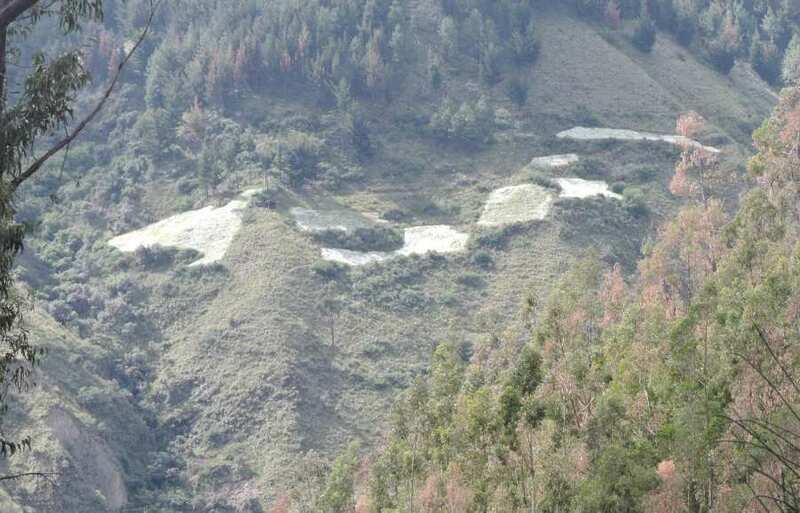 Cochabamba has a group opposed to cutting trees (No a la Tala de Árboles en Cochabamba). The group plants trees, holds meetings and raises public awareness through information. Members of the group began to notice these trash ornaments, and they knew that the wires and nails were bad for tree health. The city had already lost too many trees to construction, drought and disease (especially a phytoplasma on the China berry tree—Melia azedarach). Some members of “No a la Tala” posted photos of the dangling lights and brief notes on the group’s Facebook page. Local groups can be quite large. This one has 13,025 “friends”, and they responded immediately. They coined a slogan, “put more lights in your brains, and fewer in our trees.” The newspaper and local bloggers began to run stories suggesting that old ornaments be cleaned up, and that new ones be more carefully done, and not placed in living trees. The city is slowly beginning to take action, removing some of the old strings of lights, and there is growing public concern that the ornaments can harm trees. City trees are shared by many people, like any common property resource, such as the sea, or irrigation water, or grazing land. As the ecologist Garret Hardin noticed years ago in his paper “The Tragedy of the Commons,” (1968) a common resource is hard to manage when so many people use it. However, today social media can help communities to notice problems, and to organize themselves to create solutions. Los medios sociales se pueden usar para ayudar a manejar un recurso natural, como vimos recientemente en Bolivia. 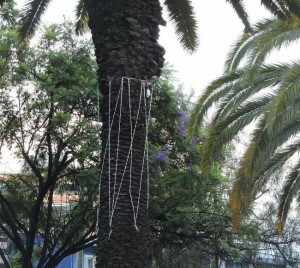 Cada año, en Cochabamba, el gobierno municipal instala adornos navideños, incluso cables de lucecitas amarrados a los árboles. Pero nadie toma la molestia de bajar las luces. Algunas todavía chispean de vez en cuando, casi un año después de haber sido clavados al árbol. El hierro en los clavos es tóxico para los árboles, y los agujeros son heridas que dejan entrar enfermedades. Los trabajadores también hacen daño a medida que trepan y se bajan de los árboles. La ciudad tiene un grupo, No a la Tala de Árboles en Cochabamba, que planta árboles, tiene reuniones y concientiza al público a través de la información. Miembros del grupo empezaron a fijarse en los adornos basurales, y sabían que los alambres y clavos dañaban la salud de los árboles. La ciudad ya ha perdido demasiados árboles a la construcción, la sequía y las enfermedades (sobre todo un fitoplasma en el paraíso—Melia azedarach). Algunos miembros de “No a la Tala” subieron fotos de la chatarra aérea y breves notas en la página Facebook del grupo. Los grupos locales pueden ser grandes. Este tiene 13,025 miembros y respondieron de inmediato. 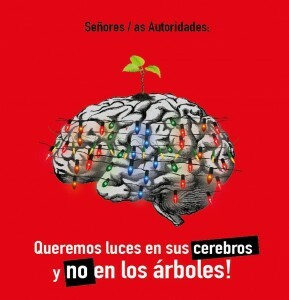 Crearon un lema, “pongan más luces en sus cerebros, y menos en nuestros árboles.” El periódico y bloguistas locales empezaron a publicar, sugiriendo que los adornos viejos tenían que ser limpiados, y que los nuevos tenían que colocarse con más cuidado, y no puestos en los árboles vivos. La ciudad lentamente empieza a tomar acción, bajando algunos de los viejos cables de luces, y hay cada vez más conciencia que los adornos hacen daño a los árboles. Los árboles de la ciudad se comparten entre mucha gente, como cualquier recurso común, como el mar, el agua de riego o el terreno de pastoreo. Como el ecólogo Garret Hardin observó hace años en su artículo “La Tragedia de los Bienes Comunes,” (1968) un recurso común es difícil de manejar cuando tanta gente lo usa. Sin embargo, hoy en día los medios sociales pueden ayudar a la gente a fijarse en problemas, y organizarse para crear soluciones.